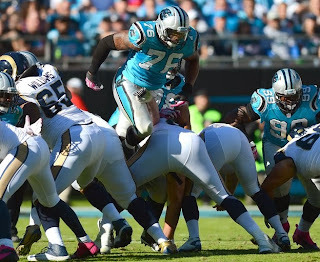 The Carolina Panthers have to find a way to keep Greg Hardy for 2014. UPDATE: The Panthers announced Friday afternoon they have used their franchise tag on Hardy. That is the bottom line. There are lots of arguments on why to do it and why not to do it, but here's the simplest reason why: If they lose Hardy, then they just have to embark on a desperate search to find his replacement. I was talking to a former Panther who watches the team closely the other day and we were discussing this issue. I said more or less that exact same thing, and the former Panther laughed and said: "Ha!! There's no way they find another one if they let him go. Absolutely none." He's right. Hardy is a relentless pass-rushing force -- one of the top five players on the Panther team. And he makes Charles Johnson better on the other side because teams don't know where to concentrate their blocking. If you can't sign Hardy to a long-term deal, you use that franchise tag on him, gulp and pay him $13 million for a single season if you have to. The Panthers have until Monday at 4 p.m. to decide whether to do that. I know he wants an awful lot of money long-term. But he's also in his prime at age 25. And he's had 26 sacks the past two years. You put some "good conduct" clauses in the contract -- Hardy has a quirky personality, we all know that, and the Panthers have to protect themselves to ensure he doesn't have another motorcycle acident or whatever -- and you get him for the long term. Or you franchise him and get him for the short term and postpone the ultimate decision. But there's no way you let him walk out the door. I hope all the maneuvering the Panthers have done salary-cap wise the past few days has been in large part to get money to pay Hardy, because that guy is worth it. As Coach Ron Rivera said last week: "One thing you always want to try to do is keep your strength strong. Our defensive line was very strong for us." The Panthers are built around their defense, which was ranked No.2 in the NFL last season. If Hardy leaves, there is no way it will be ranked No.2 again. Keeping him for 2014 can happen, and it needs to happen. One of the classiest Panthers ever will walk out the doors of Bank of America Stadium for the last time as a player Wednesday, when Jordan Gross says goodbye. The offensive tackle (No.69 in the picture above) played 11 years in the NFL, all with Carolina. He bookended his career with playoff appearances -- a Super Bowl as a rookie and then an NFC South championship in 2013. He was amazingly durable in a brutal sport, as he holds the team record for 167 career starts and started all 16 games for the eighth time in his career in 2013. 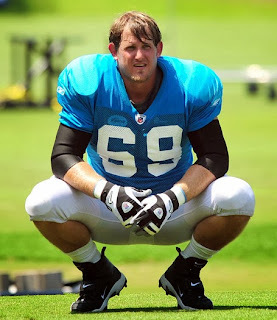 I hate to see him go on a personal level, as Gross was one of my favorite guys in that Panther locker room ever. But the Panthers should hate to see him go on a professional level, too, because their best tackle -- and Cam Newton's blindside protector -- is leaving the building. This retirement should clear up where the Panthers should be picking with their first-round choice in May -- the offensive line was already iffy, and now it just got worse. But back to Gross. In 11 years, he missed only nine games -- seven of them in 2009 when he suffered a broken leg. He just finished playing in his third Pro Bowl (as an alternate, but still). At one point in his career he was great, and even now he's still very good. He should eventually be inducted into the team's very lonesome Hall of Honor, which still, incredibly, includes one actual player who played for Carolina. But despite all that -- despite how promising the Panthers' future is for 2014 -- he is ready to leave. And you can't blame him for that. Gross has given Carolina an extraordinary number of games already. 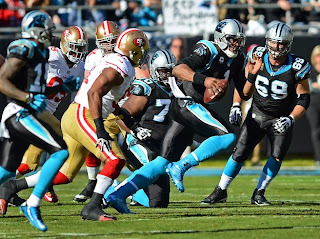 What the Panthers will miss most, besides his nimble blocking, is his leadership. Gross was a perennial team captain. He told me this a few months ago, and I have thought of it several times since. That was Gross. The rudder for the team. The Panthers will need to find a new left tackle, yes. But just as importantly, they will need a new rudder. ACC commissioner John Swofford would not say Monday whether he thought the controversial call at the end of the Duke-Syracuse game Saturday night was right or wrong, but he did say: "It was a great day for the ACC." "A little drama's not all bad in the whole scheme of things," Swofford said in Charlotte during an interview Monday. He was in the Queen City to announce that the ACC football title game would remain in Charlotte for the next six years, through the 2019 season. Syracuse coach Jim Boeheim was ejected after throwing a tantrum when Syracuse's C.J. Fair was called for a charge instead of Duke's Rodney Hood for a block with 10 seconds to go. Fair's layup went in and a no-call would have meant the game was tied. A foul on Hood would have given Fair a chance at a go-ahead free throw. I thought that by the new charge-block rules that Hood should have been called for a block and that Boeheim had a very legitimate point. But I also thought Boeheim did his team a big disservice by losing his cool, getting two quick technicals and erasing what was still a small chance at winning Saturday's night game. Swofford said of the call: "The block-charge is the hardest call there is to make.... It's one of those bam-bam calls. It's a judgment call by the official. Most of those you're going to have 50 percent think it was right and 50 percent think it was wrong... I think the officials handled the situation after that entirely correctly." Swofford said he wouldn't give his own opinion on the call itself. He did laughingly say he had communicated with Boeheim through an intermediary -- Syracuse athletic director Daryl Gross -- and mentioned in that conversation that Boeheim might want to stay in the coaching box the next time around. In general, though, Swofford seemed to not be bothered by the ruckus, saying, "It sure garnered a lot of attention. Those two Duke-Syracuse games have been terrific games for those two programs and for the ACC. A great new rivalry has been developed right out of the chute.... So you just move on." A number of sports celebrities will be on hand for a charity bowling event Saturday, Feb.22nd at Strike City in Charlotte's uptown EpiCentre complex. The event is called "Celebrities and Strikes," is put on by Wendy's and benefits "The Dave Thomas Foundation for Adoption." You can bowl for $15 or be a spectator for $5 and get a number of autographs from sports stars. 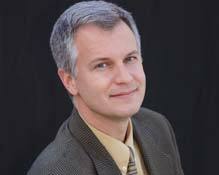 The event runs from approximately noon to 4 p.m. Celebrities tentatively scheduled to attend include current and former Carolina Panthers like Brandon LaFell, Muhsin Muhammad, Thomas Davis, Graham Gano, Eugene Robinson and Mike Rucker and former NBA stars Ralph Sampson and Muggsy Bogues. It will be emceed by longtime basketball announcer Billy Packer.I will also be there signing copies of my book "100 Things Panthers Fans Should Know & Do Before They Die." Profits from this signing will be donated to the Dave Thomas Foundation. Email ryan.schalles@wendys.com for more information on the event or call 704-716-9300. -- If you didn't see it, here is my take on the Charlotte Bobcats' under-the-radar trade from Thursday, which I thought was a risk worth taking. It all depends on how well Gary Neal shoots from three-point range when he gets to Charlotte -- I expect he will play in Saturday's home game vs. Memphis. His ability to make teams pay for double-teaming Al Jefferson will be key. Carolina Panther season ticket holders will pay more for tickets in the 2014 season. Some of that is due to the Panthers, while some of it is out of their hands. The Panthers have not raised ticket prices for their PSL holders for four years. They last did so before the 2010 season. But this year they have decided to increase prices by $2 to $21 per game per ticket, depending on the section. According to the Panthers, 66 percent of the stadium will see increases of $2 to $5 per game per ticket. The largest increase of $21 per game per ticket affects 2,400 (three percent) of the best seats -- in the lower level and mostly near midfield. Even including the increase, the Panthers say their average ticket price will definitely rank among the lower half of all NFL teams in 2014. In all, the average Panther ticket price will rise from $67 in 2013 to $72 in 2014, for an average ticket-price increase of about 7.46 percent.. The average NFL ticket price in 2013 was $81. For upper-level seats, Panther ticket prices will go up by $2 or $5 per ticket, whether you are buying an individual or season ticket. For lower-level seats, they will go up by $5, $8, $11 or $21 per ticket. (The ticket renewal brochure is on panthers.com). That's the Panthers' part of the increase. Current Panther permanent-seat license holders -- who control 62,000 of the stadium's approximately 74,000 seats -- will get their invoices either Tuesday or Wednesday . The invoices went out Monday, the team said. A six-month, interest-free payment plan is being offered by the team. For the first time, Panthers tickets will also include a new sales tax mandated by the North Carolina General Assembly, which changed the tax code to apply a 7.25 percent sales tax to tickets and handling fees. This tax applies to all college and professional sporting events in North Carolina as well as other various entertainment activities. So this will be a double whammy, although a modest one in a number of cases. For instance, the Panthers' standard $52 upper-deck tickets from last season will go up $2 due to the Panthers raising their prices, to $54. Those tickets would then increase an additional $3.91 due to the new N.C. sales tax, meaning a $52 seat in 2013 would be a $57.91 seat in 2014 (an overall increase of $5.91, or 11.3 percent, with most of that due to the new tax). The largest percentage increase would come from a lower-level seat that cost $109 in 2013. In 2014, it will cost $21 more, making it $130. The new tax will make it $139.43 -- a $30.43 increase per game per ticket. A season-ticket package includes eight regular-season games and two exhibitions, which means that those tickets would see an overall increase of $304 for the 2014 season. Again, those tickets constitute only three percent of the stadium. (My main beef with all that is the NFL mandate to have season-ticket holders pay the same price for exhibitions as they do for regular-season games is completely wrong-headed and self-serving, but that's another story). The Panthers went 12-4 last season, winning the NFC South and making the playoffs for the first time since the 2008 season. They obtained a first-round bye but then lost a home playoff game to San Francisco in the NFC divisional round. Rivera was named AP Coach of the Year and middle linebacker Luke Kuechly the AP Defensive Player of the Year earlier this month in New York the night before the Super Bowl. The team's upcoming stadium improvement include state-of-the-art scoreboards at both ends of the stadium, a better sound system and three sets of escalators that will provide easier access to 300 and 500 level seats. The Panthers still have about 2,000 PSLs available for sale, mostly high in the upper deck and some for $1,000 per seat that include their cheapest ticket, which is $41. 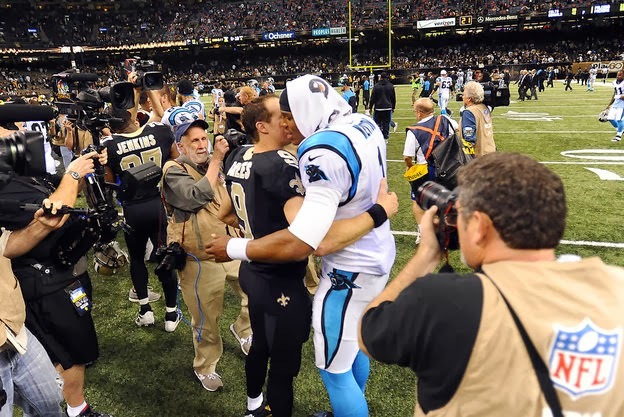 Cam Newton and Drew Brees are ranked as two of seven elite NFL QBs by former Chicago Bears GM Jerry Angelo. Jerry Angelo was a respected general manager for the Chicago Bears for a long time, but he got fired after the 2012 season. Now Angelo is making his evaluations more public, and he wrote a piece for thesidelineview.com that ranks every starting QB in the NFL on a nine-point scale. The piece is making headlines mostly because Angelo wasn't very complimentary of Jay Cutler, the quarterback he traded two first-round draft picks to get while he was at Chicago. He ranks Cutler No.15 and not elite and had various criticisms of him. "A special talent with flaws. He took a good team and had them playing consistently well. They didn’t back into being divisional champs, they took it and he led the charge. Needs to continue to grow his football IQ. More work in the classroom is the key to his continued development." Angelo's scale is somewhat unclear. Later in the very same piece, he does another numerical chart that ranks Newton seventh instead of fourth, but still in the same grouping of the seven "elite" quarterbacks (behind Manning, Brady, Rodgers, Brees, Luck and Rivers) but ahead of the other 25 teams' signal-callers. Anyway, it's somewhat interesting reading on a snowy day, especially the part where Angelo says quarterbacks like Matt Ryan, Matthew Stafford and Cutler all may be "descending players." So Missouri defensive lineman Michael Sam, the best defensive player in the SEC last year, has proclaimed that he is gay. At least that is what I hope will be the reaction by the NFL, Sam's future employer. Sam has taken a huge step for gay athletes by making this announcement prior to the 2014 NFL draft -- he will be eligible for that draft and is considered a mid- to late-round pick. Some team will draft Sam -- or if not that then certainly bring him to a training camp as an undrafted free agent. That team should shrug his shoulders and pick him, because being gay doesn't affect his ability to play football. I would be happy for the team that chooses him to be the Panthers. Some team is going to hire him for his football ability -- Sam (6-2, 260) will likely be turned into a linebacker in the NFL -- but then will have the spotlight shone upon it as Sam tries to make the team and perform well. That team will need some backbone and some courage to do this. Certainly not as much as Sam has had to come out as gay in this testosterone-fueled sport, but enough to realize that everything it does with Sam will be put under a microscope for awhile. No NBA team ever picked up Jason Collins, who announced last April that he was gay in a first-person Sports Illustrated story. Collins was a free agent at the time and had hoped to be picked up by an NBA team this fall. Didn't happen. But Collins was also nearing the end of his career - he is now 35 -- and NBA teams would tell you this was a basketball decision not to sign him and based on nothing else. For Sam, the situation is far different. He is at the beginning of his career, not the end. He had 11.5 sacks last season in college. He told his teammates at Missouri before this past season ever began. They supported him, kept his secret, and he ended up having a stellar season just like his team did. Sam won't be the first gay NFL player -- from a statistical standpoint, there have almost certainly been dozens of them by now. But he will be the first openly gay player in this situation, where he's about to have a whole series of job interviews with NFL teams and everyone knows this about him. He said he is proud to tell the world his story. We should be proud, too, that we live in a country where he is free to tell it. 4 -- Number of total minutes played by Tim Duncan, Tony Parker and Manu Ginobili in the fourth quarter Saturday. The Spurs' "Big Three" were hardly any factor when the game was won, as Spurs coach Gregg Popovich went with the hot hand and stayed with his young reserves during a 35-point fourth quarter that won the game. Ginobili is hurt and couldn't play Saturday night, so that was no surprise. But Parker was on the bench the entire fourth quarter -- the Spurs are in the midst of a nine-game road trip necessitated by a big rodeo in San Antonio, and Pop is trying to be smart with doling out playing time. Duncan only played four minutes in the fourth. And the Spurs still won. 18 -- Points that Patty Mills -- Patty Mills?! -- scored in the fourth quarter for San Antonio. Mills, an Australian Olympic star, had a game-high 32 points and lit up the Bobcats from outside when it mattered most. The 18-point fourth-quarter outburst was the most points in a single quarter that any San Antonio player has had all season. "He is not impressed with the NBA," Popovich said of Mills. "He just comes to play basketball." 789 -- The number of career double-doubles for Tim Duncan after he had 16 points and 13 rebounds Saturday night. Think about that for a second. If you played in the NBA and had a double-double every night for nine straight years, you still would only be at 736.